Afraaz Mulji started travelling on his own at 13 years old. First to a boarding school in India, later to an exchange program in France and then to study in England. Born and raised in Dar es Salaam, Tanzania, his journey has always been, without reservation, a musical one. Since he first began banging away on the tabla, a traditional Indian drum, at age three, music has been the guiding force giving him direction for his next move. Even now, sitting in the living room of the Lunenburg house where he billets, he speaks with a beyond-his-years purpose, his passion for performing sparing him from the waywardness of adolescence. "I always wanted to see the world, and I wanted to expose myself to different musical traditions," he said. "Fusion, when you blend different musical traditions, that's what I live for. That makes me really, really happy, when you have all kinds of ideas and traditions blended together." Mulji sees each place he visits as a potential musical discovery, and with a confidence that makes no lofty goal or ambition seem off limits. That attitude has led to him playing music in Notre-Dame in Paris and Roy Thomson Hall, some of the most celebrated concert venues in the world. "I recently had the opportunity to play and record in Roy Thomson Hall in Toronto ... I said to my dad and my mom, I really want to play at this venue, and they were just like OK, whatever," said Mulji. "They thought I was being wishful, and they thought the same thing when I said I wanted to play at Notre-Dame." The moments in Mulji's stories when he beats expectations and gets access to these buildings are a reminder of what can happen if one has the audacity to simply ask. In the relatively tight-knit musical world, Mulji says he's learned reaching his goals, no matter how out of reach they may seem, are just a few chance encounters away. 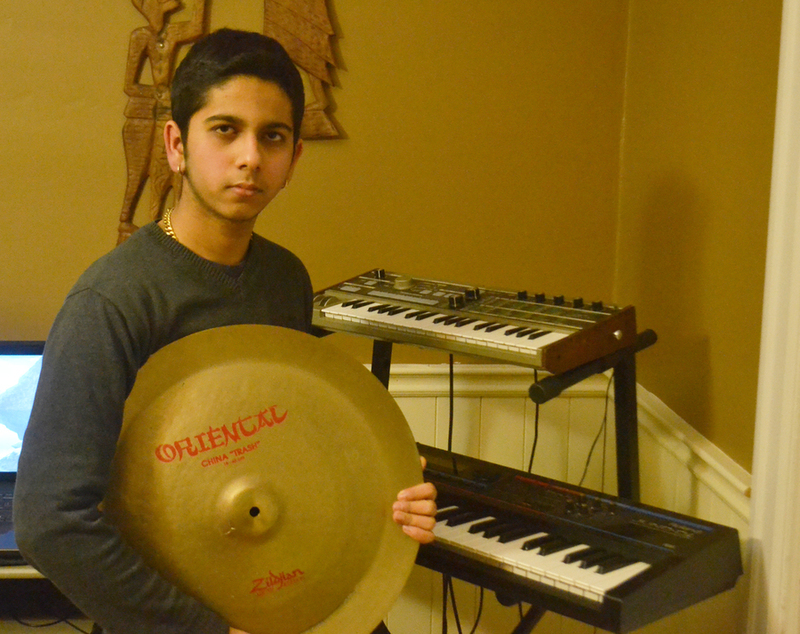 Growing up, Mulji's musical interests quickly expanded from percussion to piano and organ. Laying his hands on the pipe organ in Notre-Dame was made possible thanks to a business card he acquired from a well-known organist in the south of France. "When I showed that business card to the staff at Notre-Dame, they were like, OK, this kid must have something," said Mulji. The organ technician gave him a few minutes to noodle away, and gave Mulji a taste of life as a professional musician as an audience for the cathedral's free weekly concert started to form. "I improvised for about 15 minutes or so, and he went over the balcony and said, 'We've got a guest here from Tanzania, he's 15 years old,' ... and I received a standing ovation from the people there waiting for the actual concert to happen," said Mulji. "That, I think, was my musical highlight so far." Mulji, a dual Canadian and British citizen, decided to move to Canada and chose Lunenburg for its variety of music organizations that are constantly bringing professional musicians to town. He's in Grade 12 at Park View Education Centre, where he's a member of the school band and jazz combo, and says he rarely misses a Lunenburg Academy of Music Performance, Musique Royale or Boxwood Festival performance when they come through town. "I try to go to all of them," he said. "I consider it part of my musical education." And thanks to help from Musique Royale director Barbara Butler, Mulji adds, he's found a celebrated local building to call his own. "The St. John's Anglican Church, Barbara has enabled me to go there to practice and record whenever I want," he said. "It's got very nice acoustics and a great piano and organ, so in that sense, it's been like a second home." After he graduates this spring, Mulji says he isn't sure what's next, but he hopes to buy property here and return to Nova Scotia whenever he can. He's considering following opportunities in the southern U.S. or Toronto, but wherever he goes, he's letting music lead the way. "Basically, this will sound a little cliché, but wherever the music takes me," he said.